You know her as the Oscar-winning British actress whose choice of characters on screen are as much of a brilliant display of artistry as they are compelling. 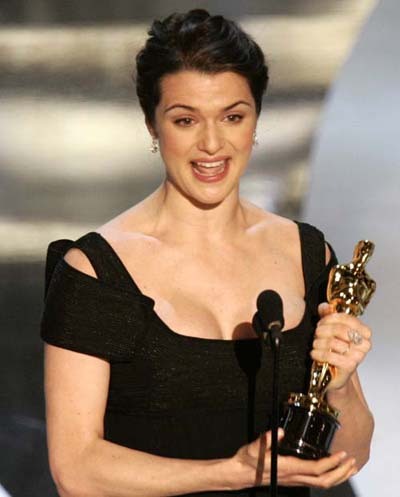 From her role in ‘The Constant Gardner’ in 2005 where she took home the Academy Award for Best Supporting Actress, a Golden Globe and a SAG Award, to the quirky comedy ‘About A Boy’ opposite Jude Law, and even looking ahead to her forthcoming film ‘Denial’, where she plays historian Deborah Lipstadt, who was sued by fellow historian David Irving after she accused him of being a Holocaust denier. There is no mistaking Rachel Weisz as one of the most talented artists of our generation. And it should also be no surprise that the roles she takes comes from a desire to be part of the growing movement of women in Hollywood who are demanding female characters not just be written or created as an afterthought or side-piece. In an interview with Net-A-Porter’s The Edit online magazine, Rachel explains why she is very specific about the roles she chooses, saying there are particular tropes she likes to avoid. “I don’t have my own personal manifesto. The things I choose must be somehow what I’m interested in. There are certain characters I wouldn’t want to play, or stories I wouldn’t want to tell, where the woman is just an object or a victim. But that’s because I think it’s a piece of s***! Not interested!” she said. Like many other actresses and women in the film industry who are speaking out about the gender inequality on screen which has the potential to negatively affect the way young girls and women see themselves, Rachel believes this problem is not just limited to Hollywood by any means. “[It’s the] tiny tip of the massive iceberg. It’s very easy to talk about: it’s clear women aren’t paid as much; they’re not represented enough in leading roles. But the problem isn’t film, the problem is culture – women in all positions across the board. Everything is out of control,” she said. One of those said “icebergs” was the 2014 Sony Leaks which exposed multiple types of inequality that have been allowed to fester and thrive under the surface for far too long. When the public finally saw evidence of studio executives talking about certain people in racist tones, and acknowledging they are paying women in leading roles less than leading men in the same film (Jennifer Lawrence in ‘American Hustle’, anyone?) that became a primary motivator for those fighting for equality in Hollywood to speak even louder and take steps to correct the problem, such as director Paul Feig who has vowed to include equity clauses for the leads in all his future films to ensure they are paid the same. The emphasis on more complex and interesting lead roles for women is not stated enough. Although we are seeing some major blockbuster franchises such as ‘The Hunger Games’ and ‘Divergent’ featuring badass female characters, some of whom have managed to make their films the highest selling features at the box office 2 years in a row (clue: it was ‘The Hunger Games’) the actual numbers tell a different story. The most recent study from the Center for the Study of Women in Television and Film at San Diego State University found that women account for only a third of all speaking roles in films from 2015, an increase of a mere 3% from the previous year. The Center conducts comprehensive analysis each year to track the progress (or lack thereof) in the industry, and for their “It’s a Man’s (Celluloid) World” they examined 2,500 female characters in the top 100 domestic grossing films. Aside from women only making up 34% of major characters, females comprised a total of 22% of all the films considered, which was a 10% increase from the year before. Which is why women like Rachel are not waiting for studios to change the culture, they are doing it themselves. Similar to what Reese Witherspoon is doing with her production company Pacific Standard Productions, Rachel has started buying the film rights to various books which contains interesting female roles she would like to play. “It’s about finding really fabulous roles for women… instead of giraffes. I say that because people talk about women as if we’re outliers!” she said. Although there is certainly no lack of interesting stories centered around female protagonists existing in the world, or a lack of female writers who have the ability to craft female-driven stories from a female gaze, it’s as if the film industry continues to ignore this and use it as an excuse. “It’s a really odd thing to keep saying, ‘I need to find a part for a woman.’ Women’s movies have become a weird sub-genre. People talk about them as if they’re niche. Why?” she asks. Interestingly, Rachel points out that this epidemic hasn’t always existed in Hollywood. “If you look at movies that are pre-’60s feminism, women didn’t just have to be sweet and sympathetic. Look at the characters of Katharine Hepburn, Bette Davis, Barbara Stanwyck, Elizabeth Taylor: fierce, powerful, difficult women. After the ’80s, women had to be more likeable. They have to be pleasing, sweet, smiling and subservient. Women are being punished by stories. Probably for feminism,” she explained. Perhaps rather than only looking to the future of film, the industry should be doing its due diligence and looking as far back as the ’60s to see that Hollywood’s legacy was not built on the back of male stars alone, but the aforementioned women who have cemented themselves as icons in their own right. In 2017, Rachel will begin production on two of her own films, and will also soon be seen in ‘Denial’ as well as ‘The Light Between Two Oceans’ where she plays a a mother dealing with the loss of a child. She will star alongside Alicia Vikander, another actress who is now using her newfound fame as an Oscar-winner to launch her own production company that will create films centered around stories about. That is how you create change!